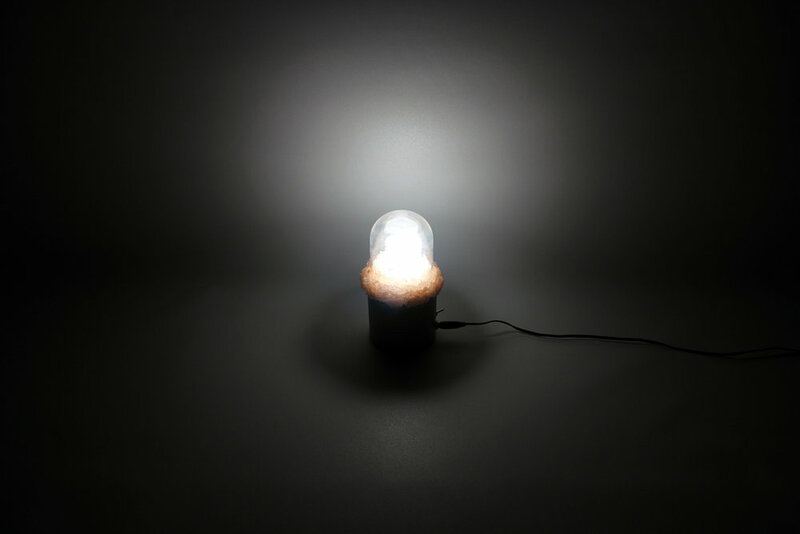 The Ingot Bulb a nightlight is meant to reference the process by which light is produced. The salt crystals allude to the mining process used to retrieve coal that is used as fuel for electricity. The user is nudged to consider light from its source upon illuminating the dark.